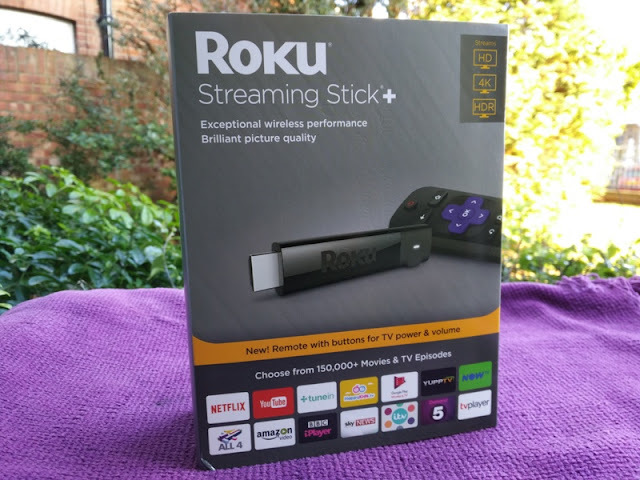 About the size of a USB stick, the Roku Plus 3810X streaming stick is one of the smallest devices you can get on the market for streaming 4K video in HDR (high dynamic range) to your smart TV or game console that can stream from a video-on-demand service such as Netflix or Hulu. 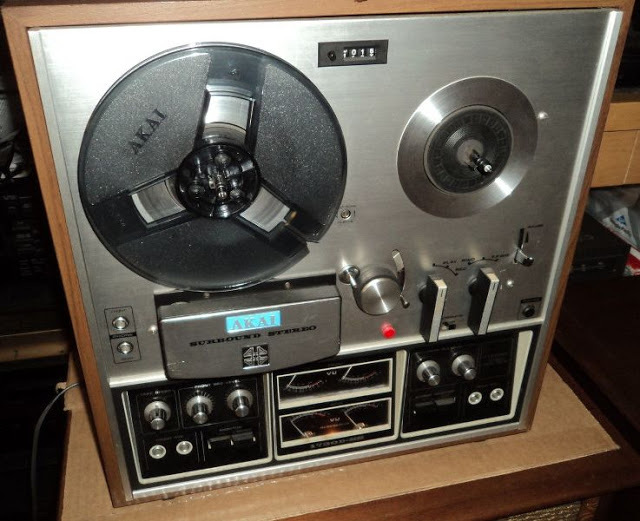 You simply plug it into the HDMI port on your TV and you're off and running. 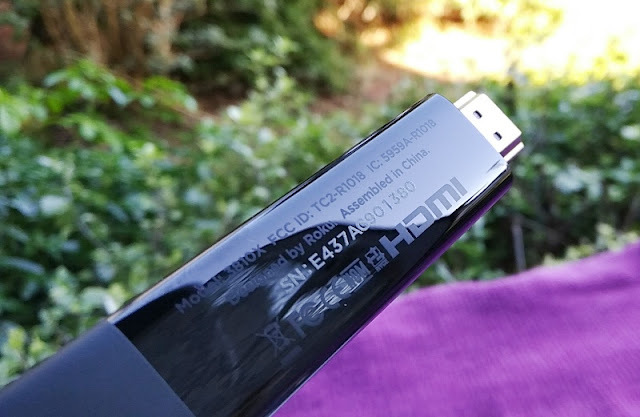 The Roku Streaming Stick Plus features a HDMI connector on one end and a USB port on the back to power the Roku stick via USB connection. 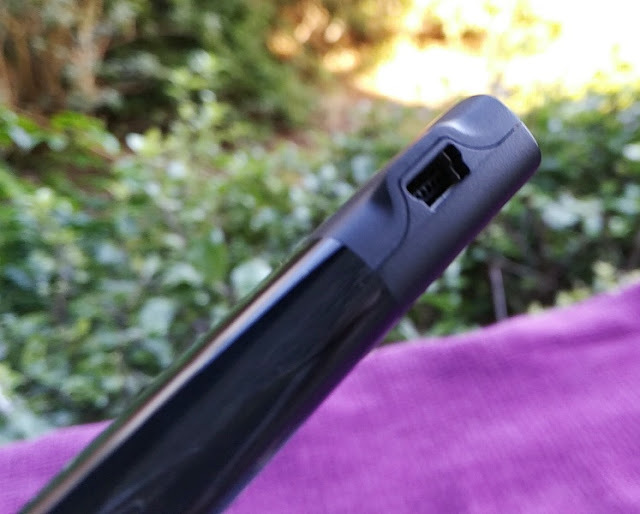 When compared to an Android TV box side by side, you can clearly see the small footprint of the Roku stick. Even the smallest Android TV box cannot compete with the Roku Streaming stick in terms of size differential. 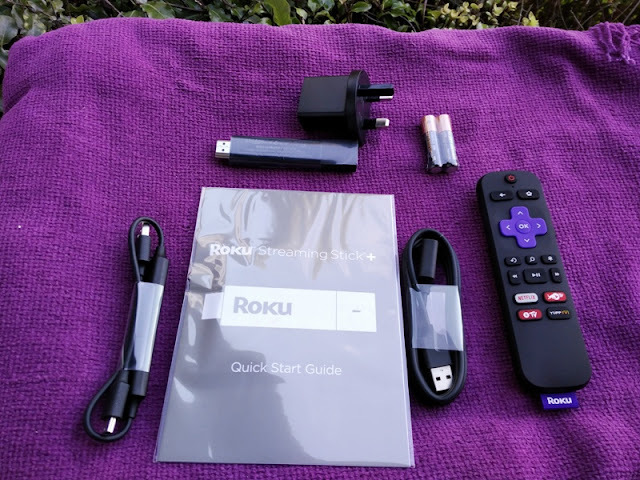 Roku Plus is, indeed, small and while the Roku stick is limited compared to an Android TV box, the Roku Plus stick solves the problem of smart TVs with built-in apps that either don't work properly or aren't updated by the TV manufacturer (Roku updates their apps regularly). The Roku Plus stick weighs only 23 grams. 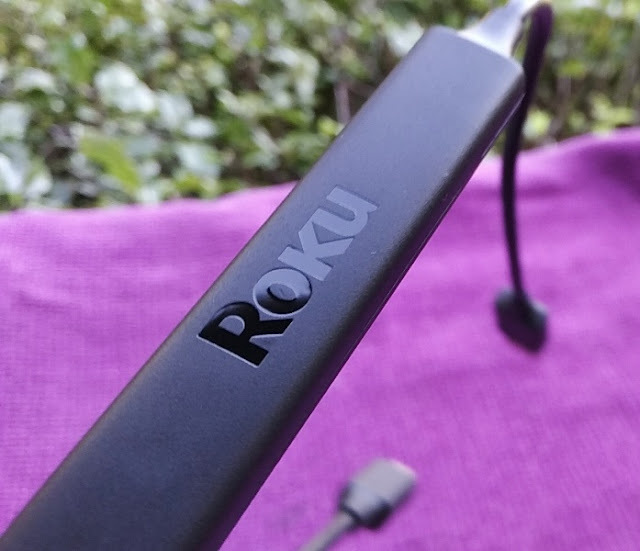 When connected to the USB power cable WiFi antenna, the total weight of the Roku Plus stick is just 46 grams, which is the weight of a pair of sports earphones. 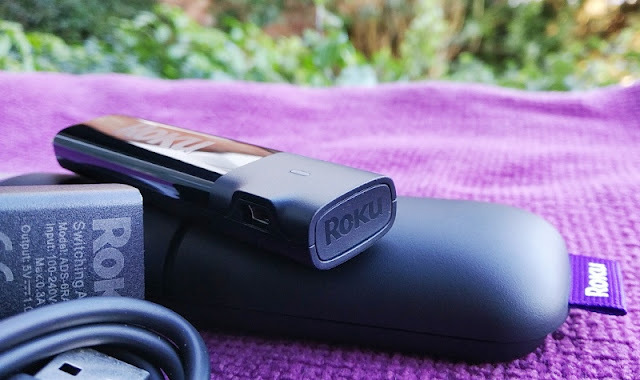 The Roku Stick Plus is, indeed, very compact. Even a lightweight smartphone like the Alcatel Idol 4, which weighs 150 grams, weighs more than Roku streaming stick! 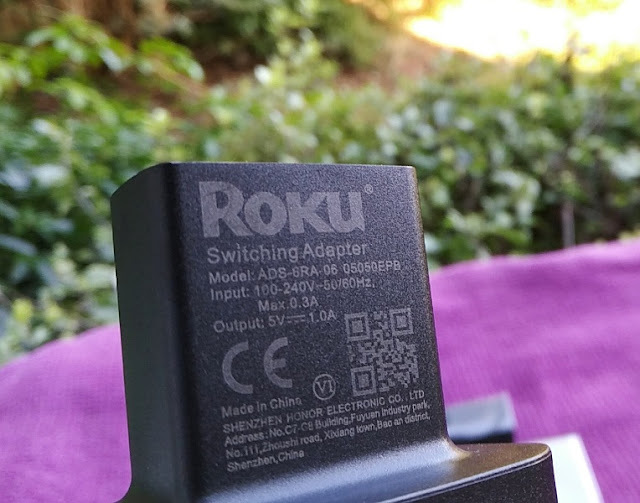 The Roku Plus power cable WiFi antenna is about 14 inches long which is long enough to connect the Roku Plus stick to a USB port on your TV. 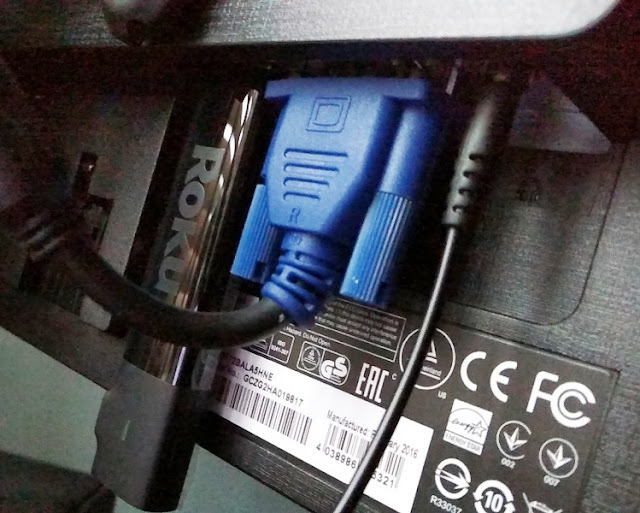 If your TV doesn't have a USB port you can still connect the Roku streaming stick plus via the included 20-inch long USB power extension cable and USB wall adapter. The Roku Streaming Stick Plus also includes a remote control powered by two AAA batteries (also included). 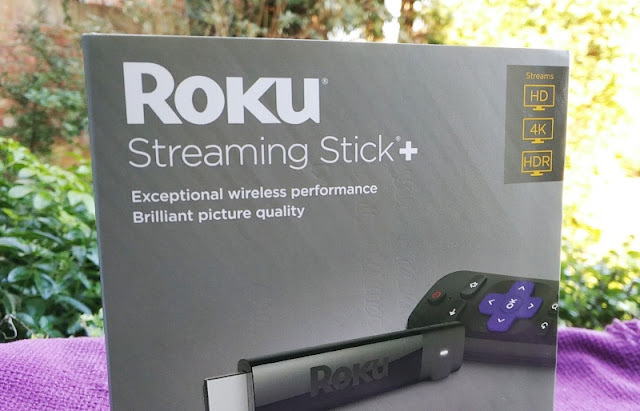 The Roku Stick Plus remote features an infrared (IR) led, a power button and volume buttons to control both the power and the volume of your TV, which is thoughtful as it means you won't be needing your television's remote control. 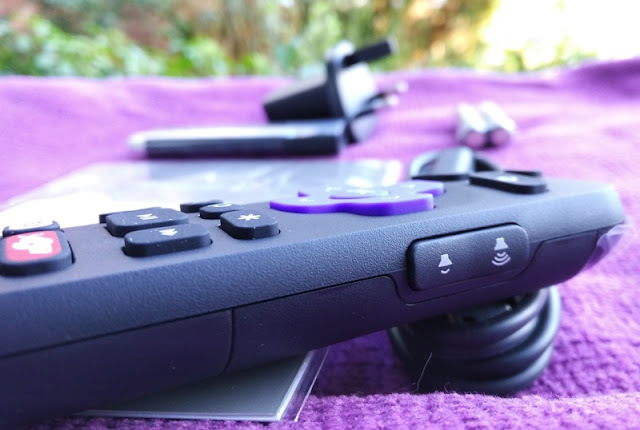 The Roku remote also features four buttons with four video-on-demand services (Netflix, Sling, Hulu and Vue). The Roku remote communicates with the Roku Stick Plus via radio frequency so you don't need direct line of sight. 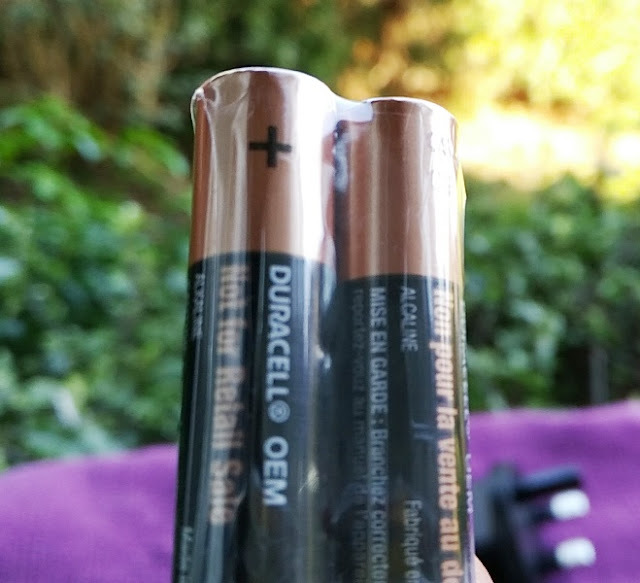 If you are having issues with your Roku remote, you will want to power off (wait 5 seconds) and power on the Roku stick. 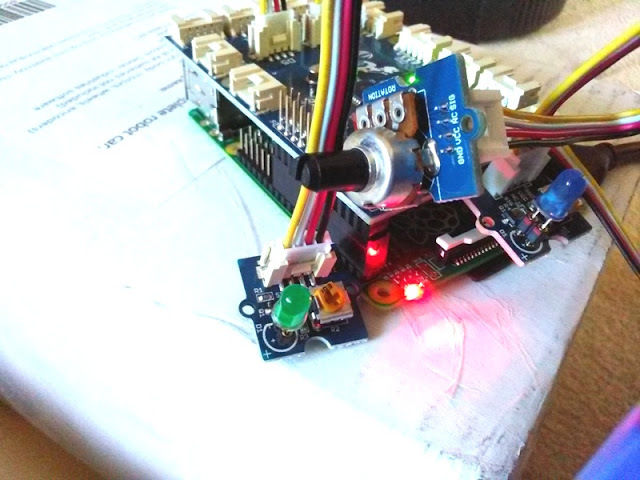 Then, reinsert the batteries in the remote and hold down the pairing button inside the remote for 3 seconds until the pairing light in the remote starts flashing. 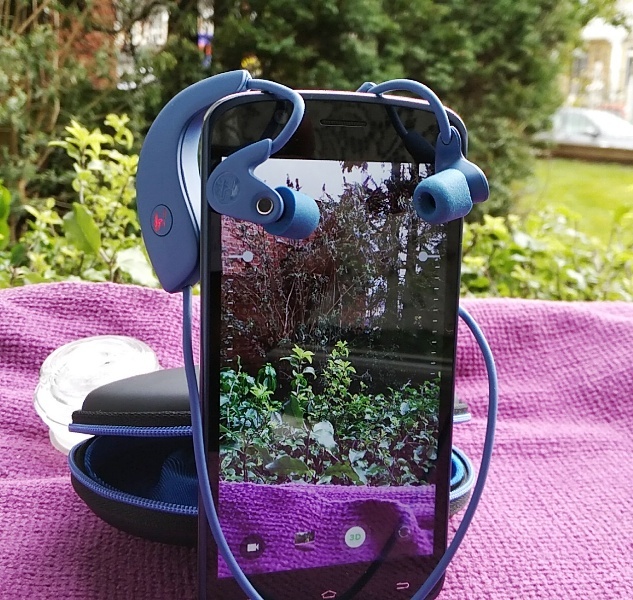 While the Roku Plus doesn't have a headphone jack, it has a feature called "private listening" (found on the Roku mobile app) which allows you to listen to movies and shows via headphones through your iOS, Windows or Android smartphone. 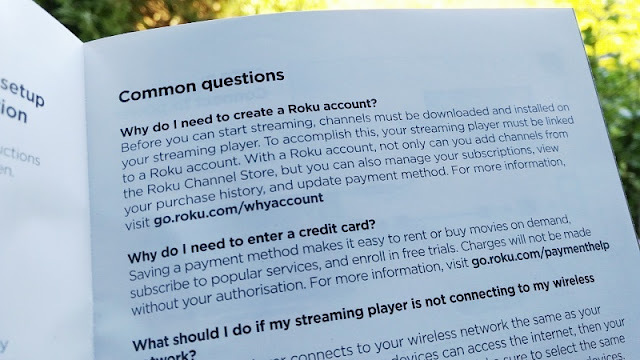 To enable private listening, you need to download the Roku mobile app on your smartphone and connect the Roku mobile app to the Roku Plus (make sure both the Roku mobile app and Roku Plus are connected to the same wireless network). 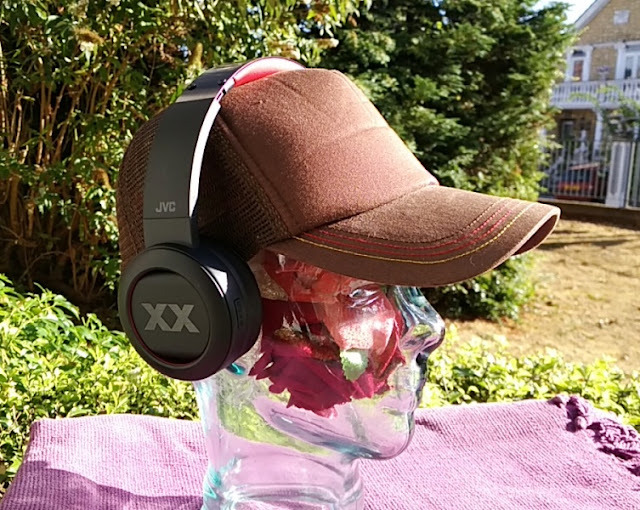 Once the connection is successful, you can plug in your headphones in your smartphone (you will see a headphone icon with a green dot indicating that private listening is active). 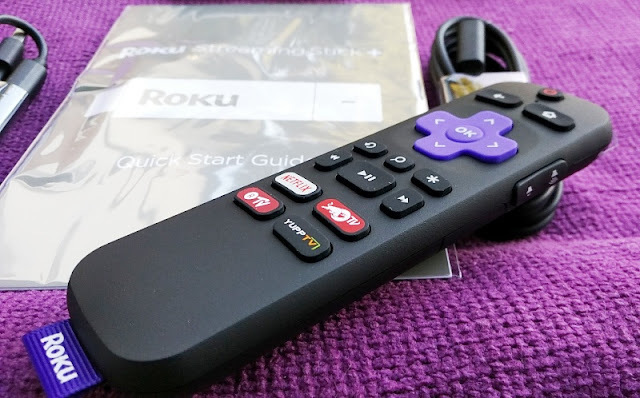 Roku's mobile app also features a virtual keyboard as well as the same play/pause, forward/back, instant replay buttons so you can control the Roku Plus without the Roku remote. 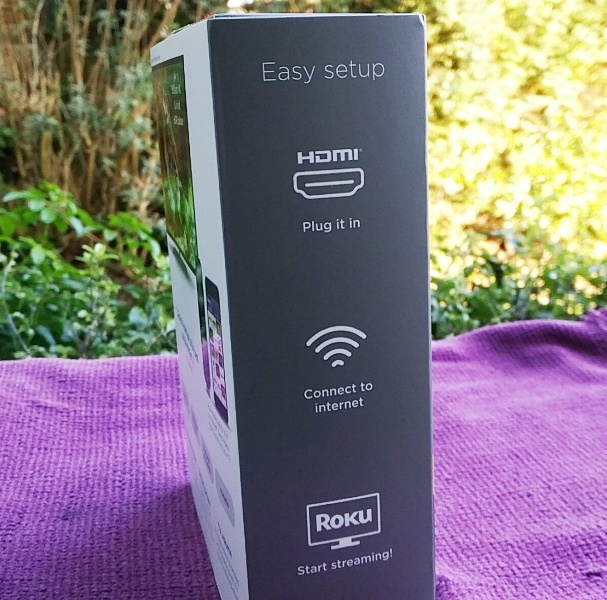 From the Roku mobile app you can also mirror content from your smartphone to your TV, as well as cast photos, music and videos from your smartphone to your TV display, which is a neat feature to have for sharing fun photos and videos with family and friends. 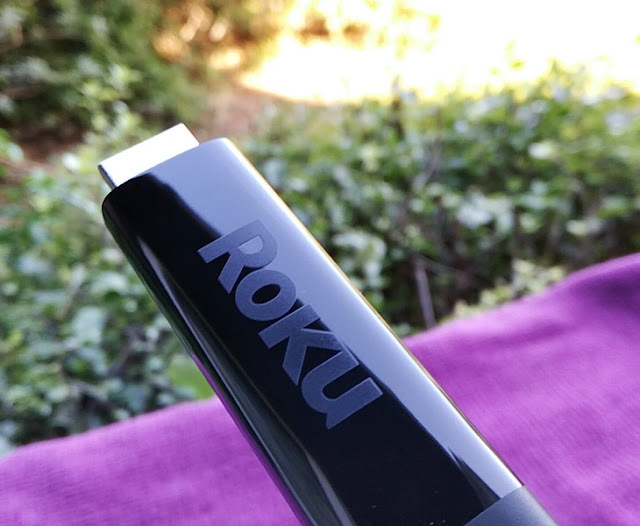 Another feature worth highlighting about the Roku Plus streaming stick is Roku Search and Roku voice search. Roku Search allows you to search by title, actor or director using the Roku remote or Roku mobile app. 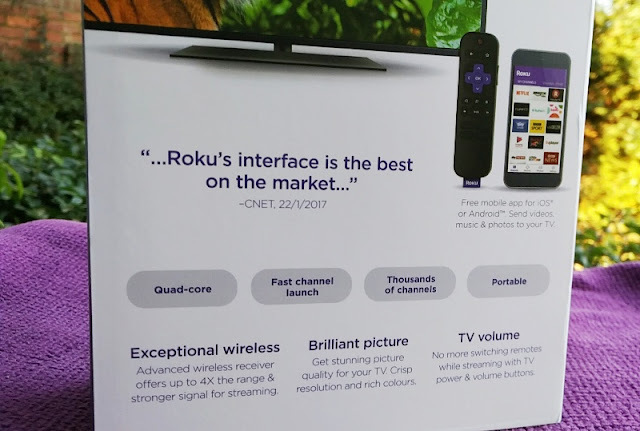 Roku Search aggregates nicely all the video-on-demand services as well as clearly label movies, TV episodes and streaming channels under free or paid content. Roku Search also includes results from “over-the-air” broadcast television when you have an antenna connected to your Roku TV. Roku's Voice Search is also a nice feature added as a button on the Roku remote. Roku voice search works very much like using Google voice assistant on your phone so you can find what you want to watch without having to type. 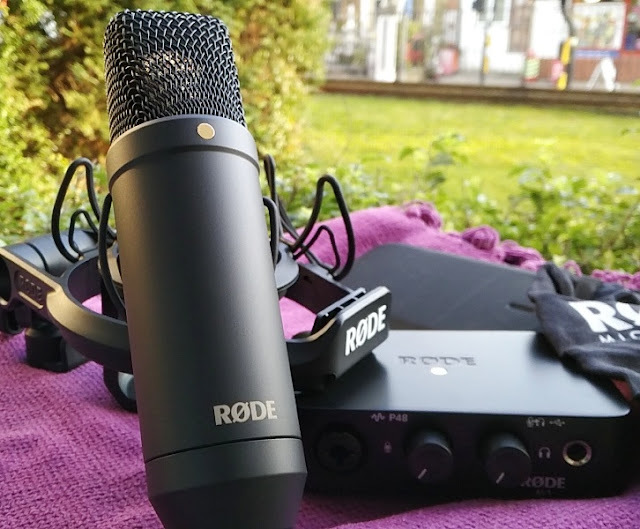 It's nice to learn also that Roku's voice search can also be performed via the Roku mobile app so even if your Roku does not support the voice search feature you can still use it. 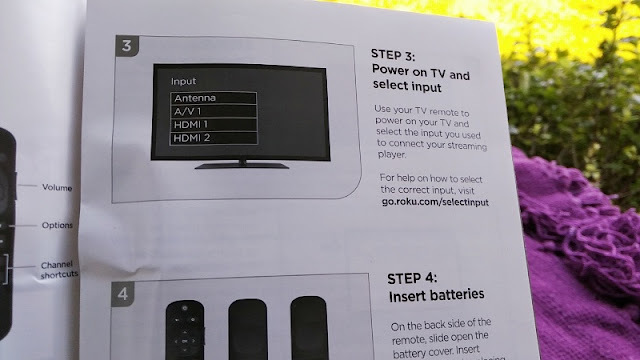 As far as setting up the Roku Plus, it is very straightforward. 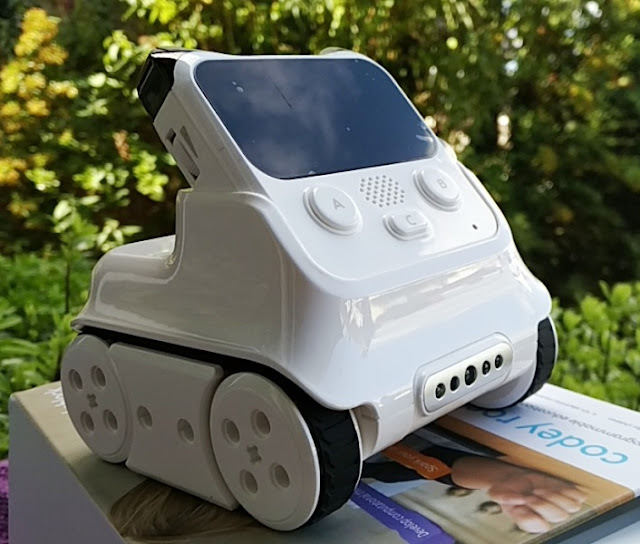 Once the Roku Plus stick is powered and connected to your TV it will automatically run a detection tool that shows you what can be played on your TV (i.e. 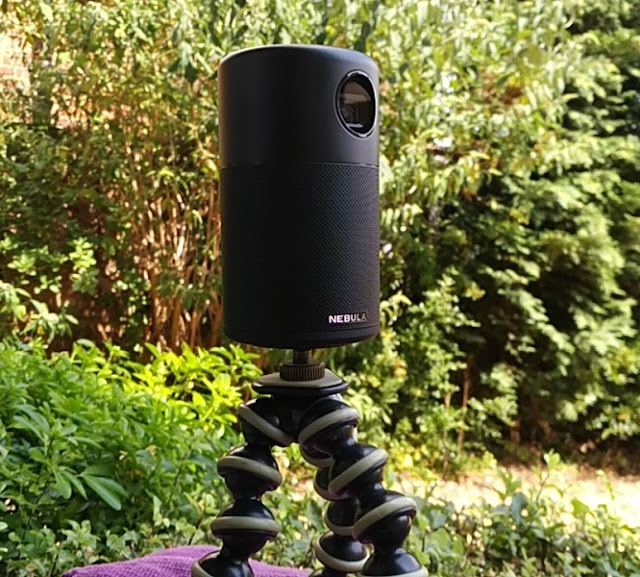 4K at 60fps, 4k HDR at 30fps, etc) and automatically set the best resolution mode for watching content (i.e. 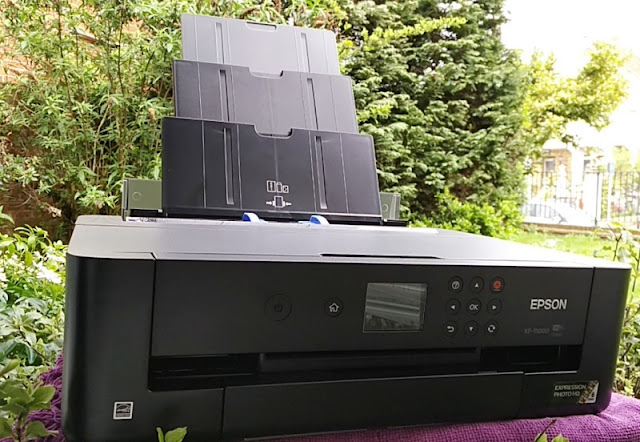 1080/24p, 4k/24p, etc). 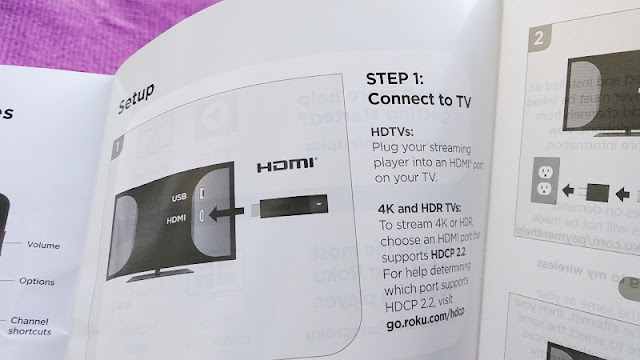 Make sure that the Roku Plus stick is connected to a HDMI port on your TV that supports HDMI 2.0 and HDCP 2.2; otherwise the Roku Plus will only run at a maximum 1080p resolution. 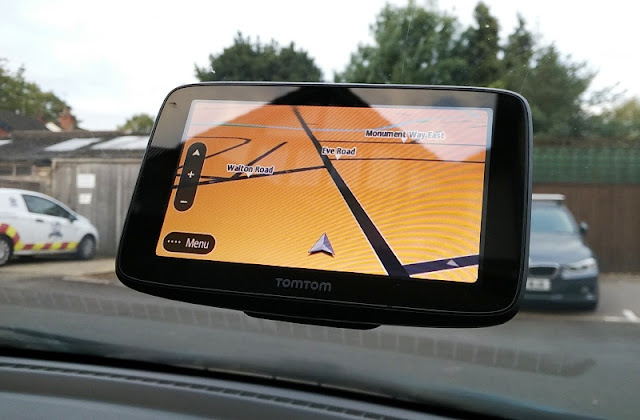 As far as the automatic detection tool, you can override it manually to set the resolution mode of your choice. 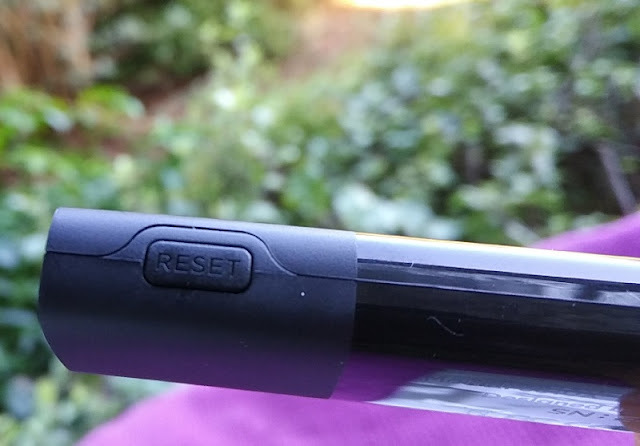 The performance of the Roku Plus stick is great considering its size. No noticeable drop frames even when playing YouTube content at 4k at 60 fps. 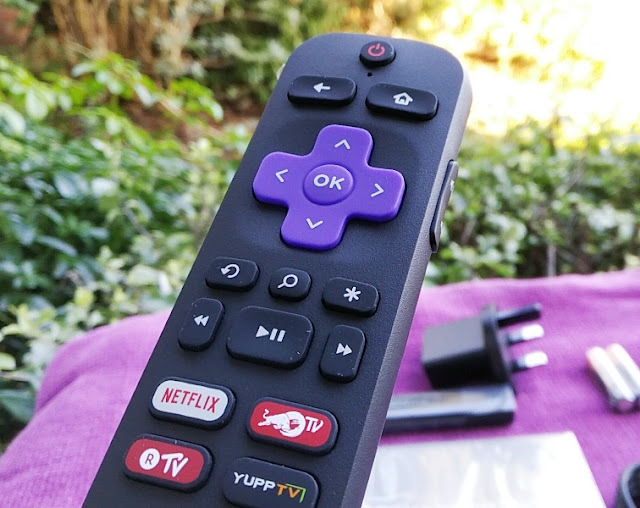 The dashboard interface of the Roku Plus stick is easy to navigate and nippy, allowing you to change quickly from app to app, as well as load up apps pretty fast. 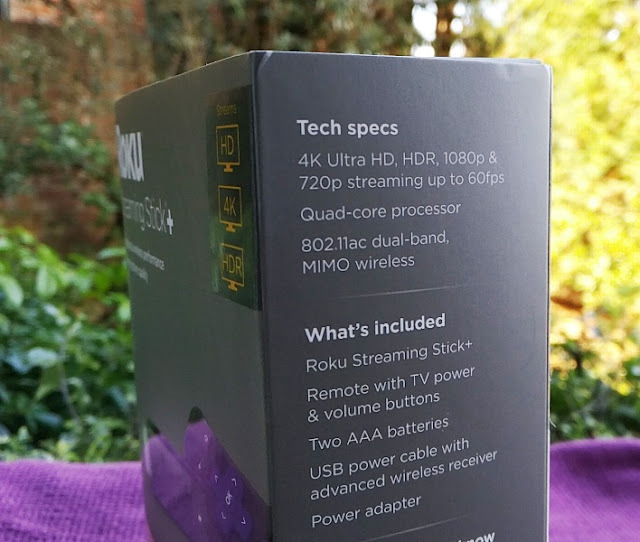 Roku Plus also supports HDR10 2160p and Dolby ATMOS surround audio.